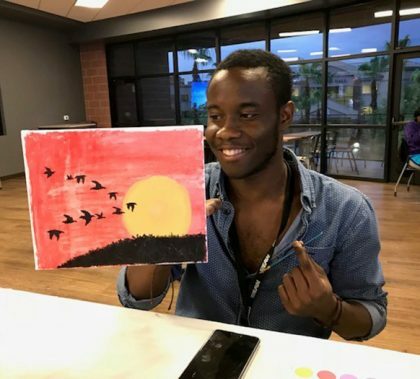 While the men’s soccer team had a goal — to defeat Oral Roberts University — some families who attended Friday night’s game had a second goal: to offer support to families battling cancer. 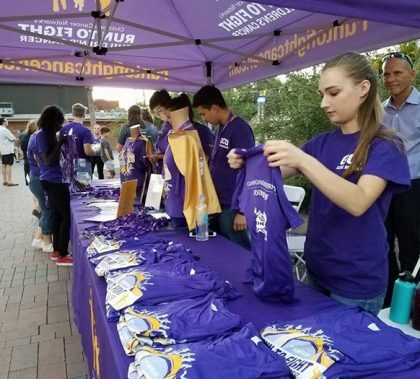 The Children’s Cancer Network was at the game to kick off its eighth annual Run to Fight Children’s Cancer. 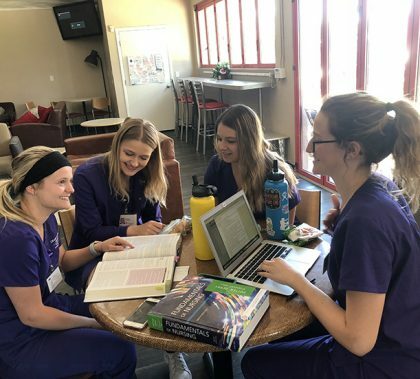 Here’s a family that has taken devotion to Grand Canyon University to a new level: Not only does Renee Taillon work and study at GCU, so do her three children — twins Christian and Jared and daughter Kirie. 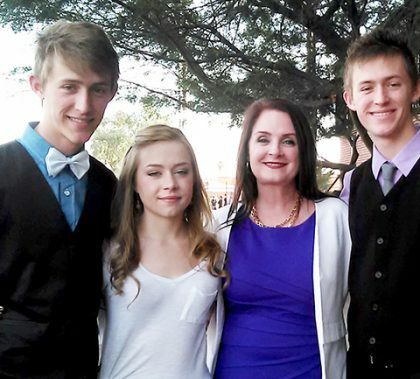 “We really do bleed purple in our family,” Renee said. 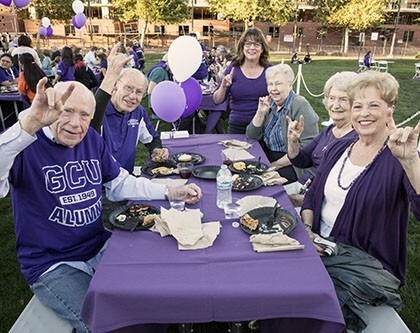 Alumni are bringing memories, school spirit and friends to GCU Homecoming 2017. 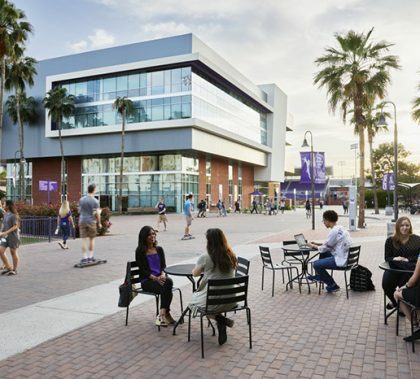 Whether a student on campus or online, all graduates are invited to festivities, beginning with a mixer happy hour on Friday and ending with a Lopes men’s basketball game Saturday against the University of Missouri—Kansas City. 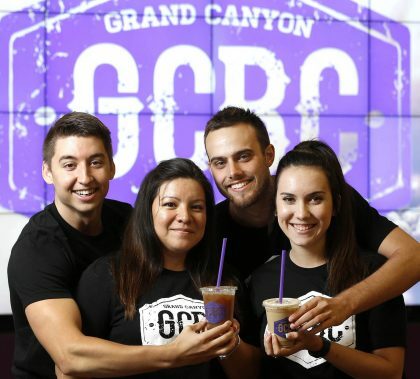 Coffee fans seeking a kick in their cups are lining up at Grand Canyon Beverage Company for the new monsoon menu, which features, among other sweet treats, the new, high-powered, extra sugary Haboob. Ordering it prompts a storm warning. 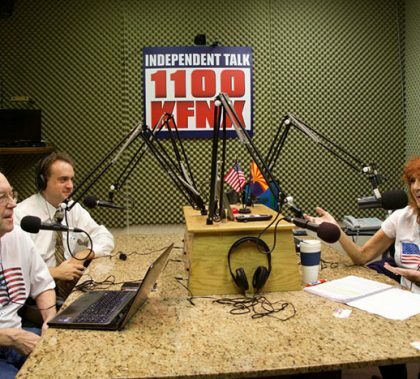 Photos by Darryl Webb GCU News Bureau “Of Thee I Sing” opens today at Ethington Theatre, a welcome respite from Presidential election fever. This singing and dancing political satire has been making audiences laugh and hum since 1931. Performances are scheduled for 7:30 p.m. today and Saturday and Oct. 21-22; 2 p.m. Oct. 16 and 23. 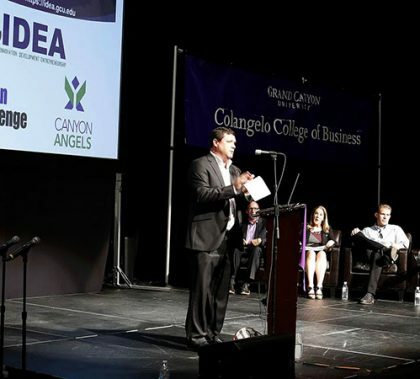 Tickets are available here, and students get tickets free with ID.